Medical associations widely recommend that women visit their obstetricians and primary care doctors shortly after giving birth, but slightly fewer than half make or keep those postpartum appointments, according to a study by Johns Hopkins researchers. The researchers found that women with pregnancy complications were more likely to see a doctor post-delivery, but overall, visit rates were low. 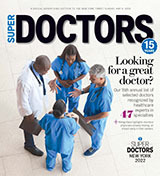 Physician groups, such as the American College of Obstetrics and Gynecology, recommend women with complications like high blood pressure during pregnancy or gestational diabetes not only visit their obstetricians six weeks after a birth, but that they also see their primary care doctors within a year. For the study, the researchers collected data from one commercial health insurance plan and multiple Medicaid insurance plans in Maryland. The aims were to determine different predictors of receiving post-delivery primary and obstetric care in women with and without pregnancy complications, including gestational or pregestational diabetes mellitus and hypertensive disorders, such as preeclampsia. Women with these conditions are much more likely to develop long-term health problems, such as type 2 diabetes and cardiovascular disease. Among women with tax-supported Medicaid insurance, 56.6 percent of those with a complicated pregnancy and 51.7 percent of those without a complicated pregnancy visited a primary care doctor within a year. Among women with commercial health insurance, 60 percent of those with a complicated pregnancy and 49.6 percent of those without a complicated pregnancy did so. White patients, older patients and patients with depression or preeclampsia were also more likely to visit their primary care doctor. Of the women on Medicaid, 65 percent of those with complicated pregnancies and 61.5 percent of those without complicated pregnancies had a postpartum obstetric visit within three months. Numbers were slightly lower for those with commercial insurance, at 50.8 percent of those with complicated pregnancies and 44.6 percent of those without complicated pregnancies. Bennett says providers need to develop creative ways to improve attendance at postpartum visits. A pilot project at Johns Hopkins Bayview Medical Center, for example, involves combined “mommy-baby” visits, she says. If the baby’s checkup is included in the mother’s visit, the mother may be more likely to keep the appointment, and thus would receive important education about improving health behaviors and the need for primary care follow-up. Other options are home visits and collaborations with day care centers, community centers and churches to make visits and health promotional activities more convenient. Bennett says more work is also needed by hospitals and physicians to coordinate future appointments, or to arrange transportation or child care if needed. “Pregnancy is a teachable moment — many women are very motivated to make healthier lifestyle choices to keep themselves and their babies healthy. After a birth, we need to keep them motivated,” she says. Bennett and her team say their findings add to evidence that access to health care alone — having insurance and a physician — is not enough to assure proper care. All study participants had insurance for at least six weeks after delivery. The study was supported by the National Institutes of Health’s National Heart, Lung, and Blood Institute (5K23HL098476-02). Other Johns Hopkins researchers involved in the research include Hsien-Yen Chang, Ph.D., M.H.S. ; David M. Levine, M.D., Sc.D., M.P.H. ; Lin Wang, Ph.D.; Donna Neale, M.D. ; Erika F. Werner, M.D., M.S. ; and Jeanne M. Clark, M.D., M.P.H.